Victoria Beckham suffers from bunions. Bunions are known as one of the most commonly treated foot problems, especially in women. A bunion is a bony bump that forms on the joint located at the base of the big toe. People can develop “regular” bunions as well as bunionettes, which are smaller bunions. Women tend to develop bunions more often than men due to the shoes they wear. Shoes that fit too tightly are a known cause of bunions, because a bunion is created when your big toe pushes up against the other toes. This results in the big toe joint being forced in the other direction (away from the regular profile of your foot). Although tight shoes are the most common cause of bunions, they can also develop as a result of excessive stress on your foot, a medical condition (such as arthritis), or an inherited structural defect. It is relatively easy to diagnose a bunion. You will notice a bulging bump on the outside of the base of your big toe, as well as swelling, redness, or soreness around the big toe joint. Some people experience thickening of the skin at the base of the big toe and corns or calluses where the first and second toes overlap. Restricted movement of the big toe is another characteristic symptom of a bunion. Bunions are permanent unless surgically removed, and may become larger and more painful over time. Some bunions do not require treatment, but it is time to visit a podiatrist when the pain becomes persistent, movement is impeded, and you struggle to find shoes that fit. There are numerous non-surgical treatments for bunions, but if you ignore your bunions they may become larger and more painful, rendering any available non-surgical treatments useless. To find out what kind of bunion treatment you require, make an appointment at Quality Foot Care by calling 215-230-9707 today. 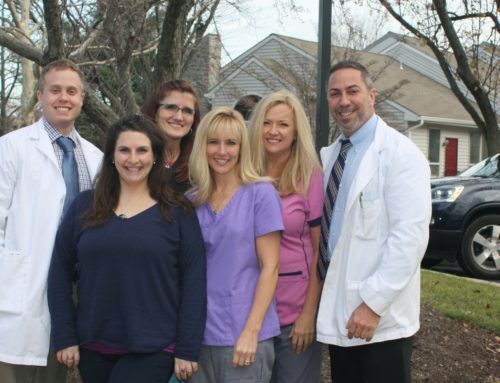 Dr. Lefkowitz and his staff at their Doylestown office are able to provide the area’s best treatment for all of your foot and ankle concerns.